Thanks to the recent advances in technology and engineering, the cars of today are lasting longer than ever. 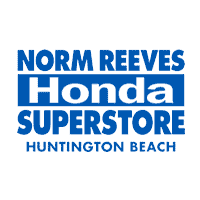 As a used car dealer near Corona del Mar, CA, our team at Norm Reeves Honda Huntington Beach understands just how important that is to our customers. With all of the money you save by choosing to purchase a used or pre-owned vehicle, you could take the day off and relax at Big Corona Beach or update your wardrobe with the latest styles by taking a trip to Fashion Island. The decision is up to you. But before you can go cruising off into the sunset down the Pacific Coast Highway, you’ll have to find that affordable automobile first. Wed like to invite you to visit our showroom and experience firsthand what personalized car buying feels like. From your consultation with one of our friendly sales consultants to designing a financing plan with our expert team, you’ll be taken care of every step of the way. As you can see, your satisfaction is our number one priority. We will help you find the perfect used car to meet your needs and get you from A to Beyond. To do that, we keep a great selection of used vehicles on our lot for you to choose from. We also have a collection of Honda certified pre-owned vehicles that provide the highest level of quality when it comes to previously owned Honda models. Each certified vehicle must pass an in-depth multi-point inspection and certification process. This ensures that each vehicle meets the same high standards that any new Honda would be held to. Plus they even come backed by a limited warranty, so you can rest assured that the quality of your vehicle is protected. With benefits like that, its no wonder so many drivers choose to buy a Honda certified pre-owned vehicle. To help you make sense of our inventory, your personal sales consultant will help explain all of the specifications and features so you can find the right vehicle. Well even let you take each one on a test drive so you can feel how the car handles and responds to your driving style. Before you head up to Norm Reeves Honda Huntington Beach, browse through our entire inventory of used and pre-owned vehicles available online. Youll be able to find all kinds of useful information, such as engine specifications and vehicle features. When you find a vehicle that you’re interested in, schedule a free consultation and test drive with one of our sales consultants. Our dealership is conveniently located at 19131 Beach Blvd. Were just a short drive north of Corona Del Mar up the Pacific Coast Highway to Newland Street. For turn-by-turn directions from your specific location, just type your address into the form on the Directions page on our website. If you need help or have questions about how we can help you find a great used car, give us a call at (888) 405-0115 or schedule your test drive online.